Production management is the practice of organizing, directing and overseeing manufacture process in a factory to ensure that they move smoothly at the required level. It's also called operation management. Production management includes responsibility for product and process design, quality control, and workforce supervision. Production Management refers to the scope of the manufacturing process. Production management needs the assistance of flowcharts. 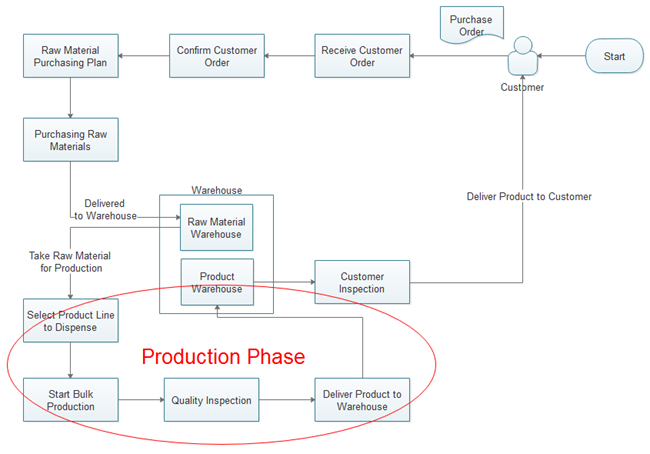 Flowcharts help production managers better plan and coordinate the production process. For example, with flowcharts, they can easily recognize which part of the process leads to a poor efficency, so that they can make a decision to improve accordingly. Also, as flowchart shows every step of a process in clear and explicit detail, employees can know their duties explicitly. 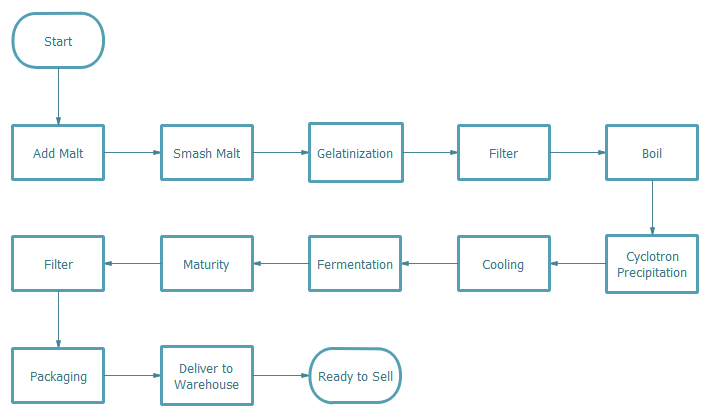 Below is a simple flowchart example showing the beer production process. 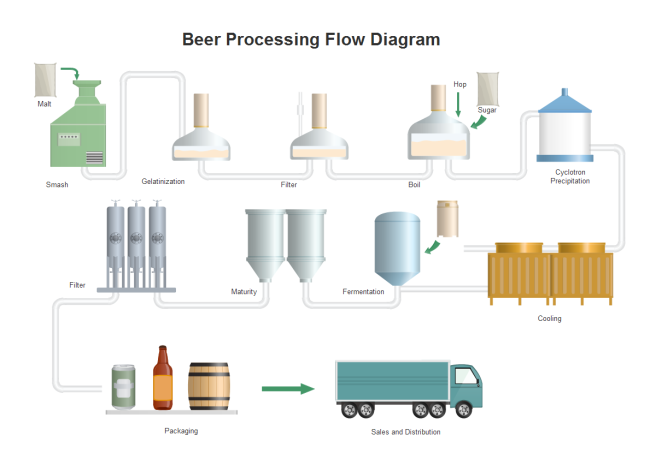 Besides flow chart, another way of showing production process is using the Process Flow Diagram. The following flowchart example shows how to manage a project. 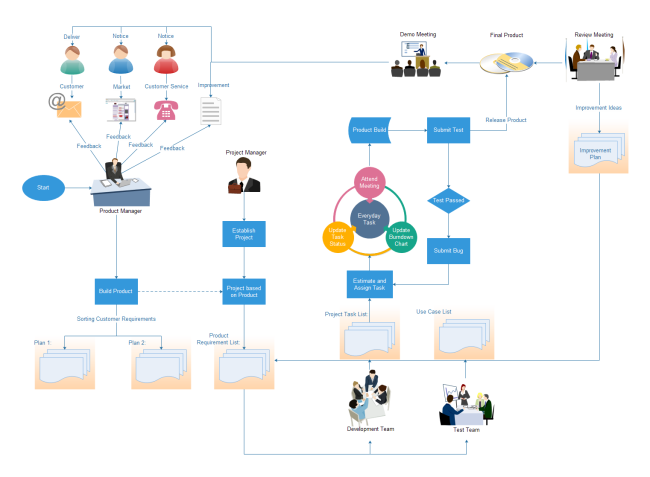 Above we see how flowcharts improve communication and organize process. It's extremely helpful in industries. Therefore, it's essential to have a professional and easy flowchart tool to help you create flowcharts for all aspects. As an all-in-one flowchart maker, Edraw not only creates standard flowcharts, but also can draw work flow diagram, process flow diagram, data flow diagram, BPMN, etc. With it, you will experience a much easier and smarter way for making flowcharts. It works on Mac, Windows and Linux systems. 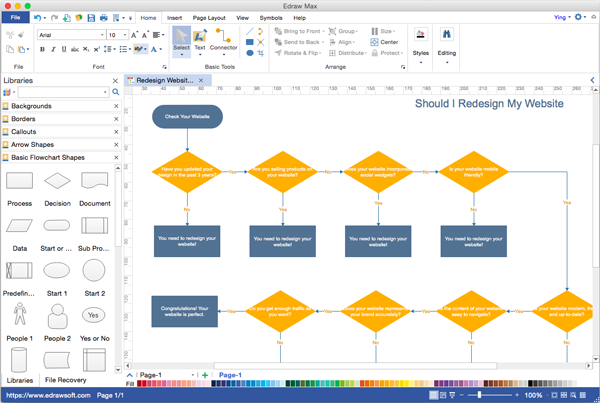 Discover why Edraw is an awesome flowchart maker: Try it FREE.